Falling rocks and weathering had damaged the previous wooden avalanche protection structure. The original protective function had to be restored. 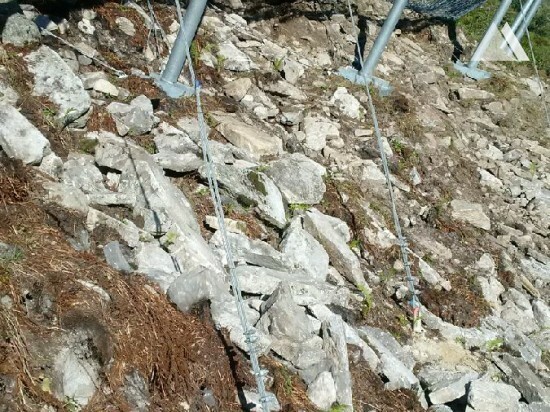 Furthermore, other hazardous areas had to be secured in order to provide better protection for the entire ropeway system. In the project which was originally submitted, the intention was to construct massive avalanche wedges made of reinforced concrete. These were designed to directly protect double supports 21a and 21b, as well as support 22. 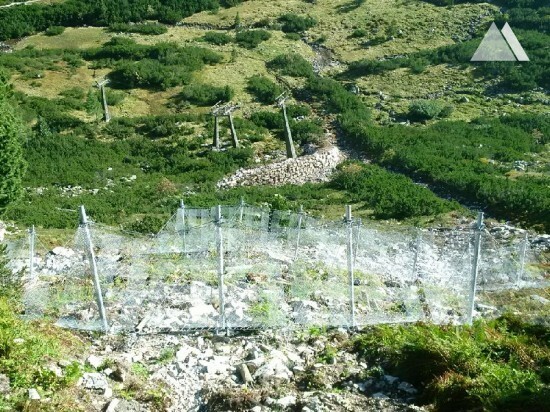 On account of the enormous dimensions of this structure, the associated costs, and the considerable impact on the landscape – in a conservation area on the edge of the Hohe Tauern National Park, a new protection project was created. Overall, eight sets of SPIDER® Avalanche snow nets with a total length of 140 meters are being erected in three potential avalanche starting zones. With this measure, it is only necessary to construct a 35-meter-long and approximately 3-meter-high dam made of locally acquired, heavy rubble. With the hardly visible snow nets and natural dam, the authorities were extremely satisfied in terms of conservation of nature and the landscape.